I recently wrote in my June Loves about Rimmel London The Max Volume Flash Mascara, but I thought it was such a good product that I should review it properly. “Skinny to fat lashes in a flash! up to 14 x volume”. I always find it hard to believe a product is going to do as it promises, especially with mascara. I’m always craving long eyelashes with loads of volume, and I usually find most products don’t deliver. Never the less I decided to give The Max Volume Flash Mascara a go, it was only £6.69 in Boots, and I thought it was an affordable price tag, and I liked the look of the hot pink tube. I wasn’t quite sure what to expect when I first tried the product, I’ve used other Rimmel London mascara’s that have promised large amounts of volume, but never been quite so satisfied with the result. But I must say this time it was a different, I was pleasantly surprised with the outcome of this mascara. My eyes with no mascara on. As you can see I have no volume, and rather short eyelashes. Then after a couple of lashings of mascara…. Voila! I have long voluminousness lashes! I was really shocked after I applied the mascara, I had really long eyelashes! I can never usually get this effect without spending ages curling my eyelashes, applying several different volume promising mascaras, and eventually giving up and apply false eyelashes. My eyes look so much wider after this has been applied, making them big, bold and more standing out than usual. I didn’t think this look could be achieved with a normal mascara wand. In the past I’ve used other mascaras with a ‘special’ wand, designed in a different shape to make your eyelashes stand out more, and even that hasn’t given me the same effect as this! I picked up my copy of The Max Volume Flash mascara in ‘Ultra Black’ instead of my usual black, as a friend of mine said it made your eyes stand out more. I haven’t tried this product in black, so I’m not sure if its true but I think my eyes stand out a lot anyway! I found the application process to be very easy, the only problem being a lot of mascara was stuck to the brush, but wiping it off against the lid or onto a tissue fixes that. The consistency of the product is also very good, as you can see from the pictures it comes out very black and I find it not to be too thick or clumpy. The only other problem I found with this mascara was that sometimes after applying my eyelashes will become spidery and stuck together, but I usually fix this by using an old mascara brush and brushing my eyelashes afterwards, it just helps to separate the lashes a bit more. 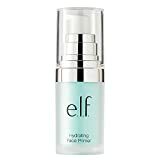 Other than that I absolutely love this product and will certainly be purchasing it again! Have you used this mascara before? What other mascaras do you find work for you?